My sister and I are London, England right now, and luckily for us, our visit coincided with a get-together of the Pygmalion Society! They are the local doll collectors who meet up on the last Sunday of every month, usually organized through the Den of Angel forum. I’ve been hoping for almost a year to be able to attend one of these meets so I was very excited that my schedule allowed me to attend! I would have loved to bring a resin girl with me, but I was travelling light so I opted to bring a couple of DD girls since they are easier to transport. 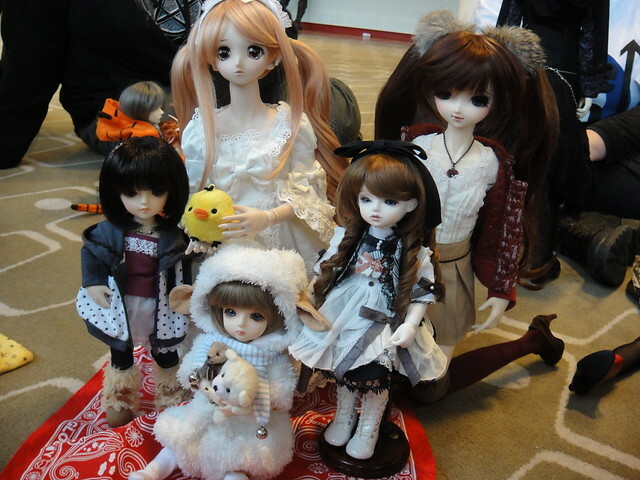 This is Mélisande with Dark Dollhouse’s Pino and Nono, and my sister, Machiko,’s Delilah and Lareine. There was quite a big turnout for the meet, which was at the Royal Festival Hall. 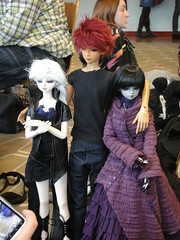 Fellow Dollfie Dream lovers Dark Dollhouse, Jezatron, GabrielVH, CookieDude_2332 and NeonSkittles were there, as well as about 30 or so other resin BJD owners. It was hard to keep count since people would pop in and out over the course of the afternoon. There were dolls of all shapes and sizes – literally! 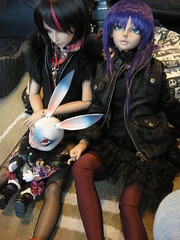 There were some really cool non-human dolls, and everything from tiny little Pukifee’s and Lati’s to some 75cm boys. 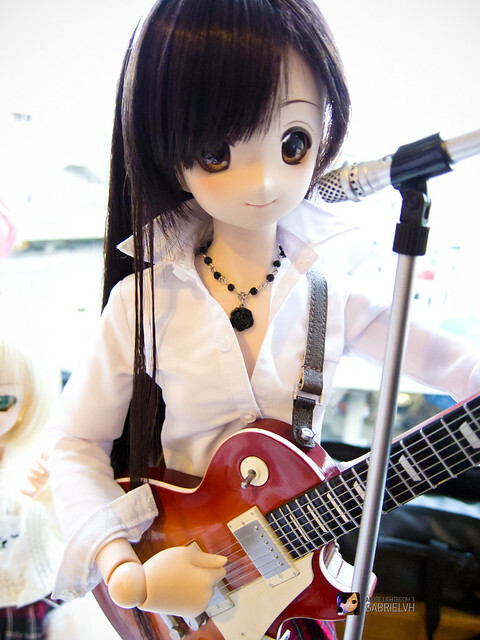 Here’s Jezatron’s lovely Airi wearing the Milhi Biscotti concert dress set. 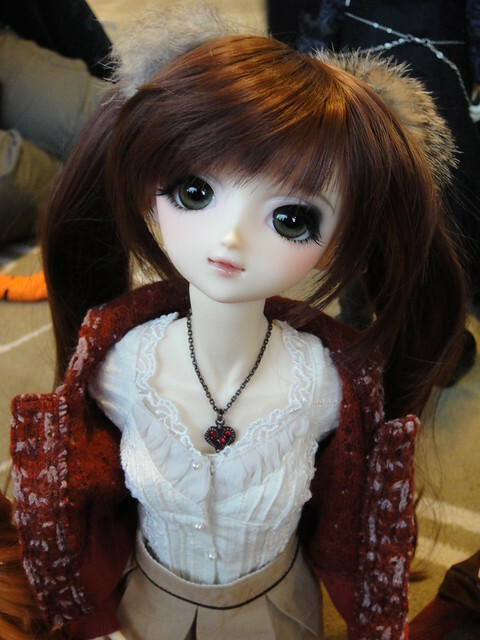 This is d.ark’s gorgeous “Winter Smile Nono” that released recently at the Volks Dolpa 26. She’s so sweet and adorable! She has such big, captivating eyes and a charming face. 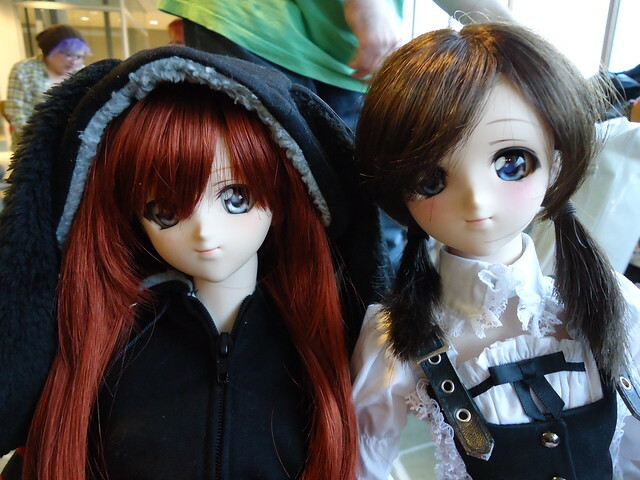 Here are d.ark’s Moe and Natsuki looking adorable. 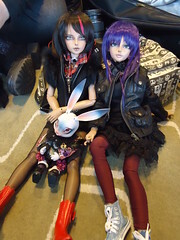 This was my first time seeing a Natsuki in person; even though these two dolls are the same head mold they are very unique. 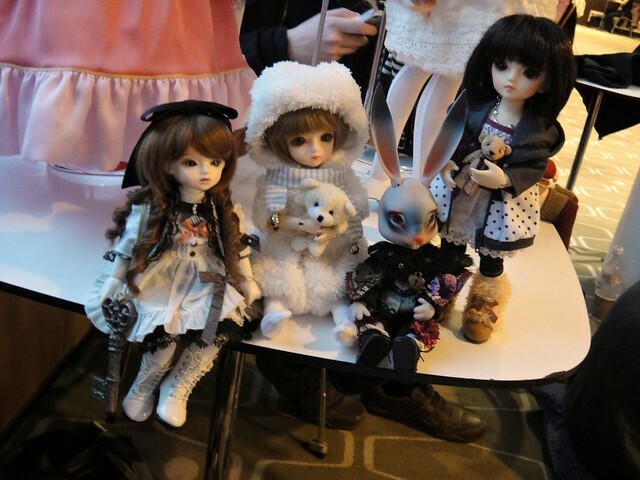 Here are Machiko’s Lareine and Delilah hanging out with d.ark’s Pino and the really cool “not-so-white” White Rabbit. Here are a few more photos from the gathering, but the whole set can be viewed on my Flickr. As fransgaard was coming to join us, he snapped this photo of us from outside! You can make out Yui and Airi on the table, and that’s me sitting in the window! 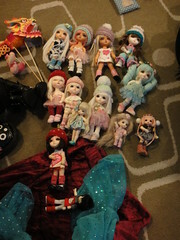 I had a great time at the doll gathering – it was especially nice to meet MadameMau and Teddy and put faces to the online usernames. After the meet, we had our usual Japanophile dinner outing! This time we went for dim sum at Ping Pong. 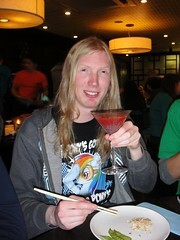 There was a special Chinese New Year going on, so anyone born in the year of the Dragon got a free Dragontini – and we had 2 Dragon’s in our midst! I forgot to take a group photo of us at dinner (which I realized later that if we did take one, it would have saved NeonSkittles from a heap of hassle! ), but instead, here’s a shot of our dim sum tower! 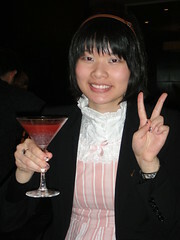 It was a fun evening out everyone – Machiko & I had a great time! I hope to be back in London soon in the next few months so that we can hang out again! 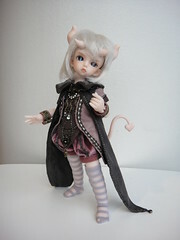 This entry was posted in BJD Misc, Doll Meetup, Dollfie Dream and tagged doll, London, meet, pygmalion, society by archangeli. Bookmark the permalink.